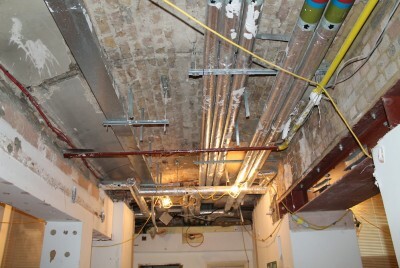 Works have begun on the refurbishment of the public sections of the Royal Thai Embassy in South Kensington, London. Interiors have been stripped out, original fabric and structures of the building are laying bare and we are about to start with the structural works. The renovation includes the application of intricate designs inspired by traditional Thai colours, motifs and shapes reflecting the warmth and richness of Thai interiors.